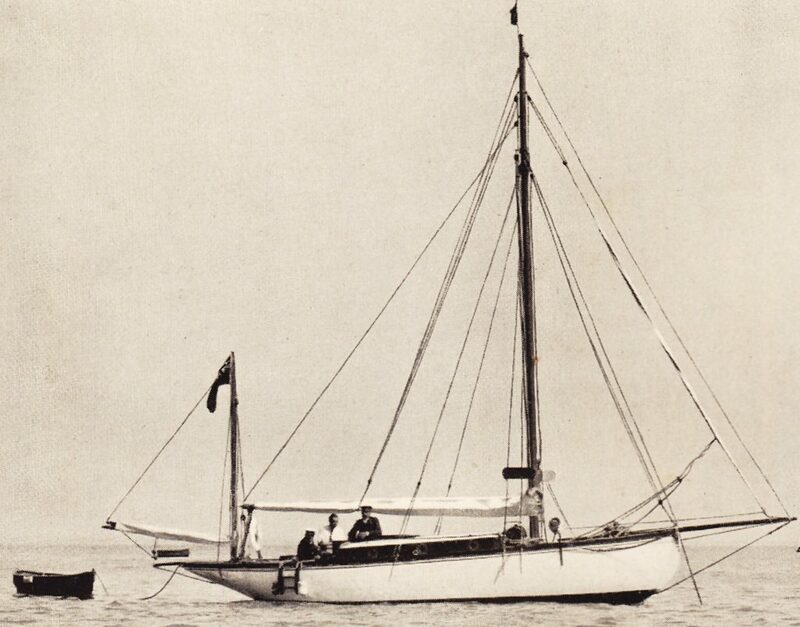 In this second part of an extract from the cruising log of W. F. Thompson, we join him sailing with his wife on their six-ton yawl without auxiliary power, in the summer of 1911. 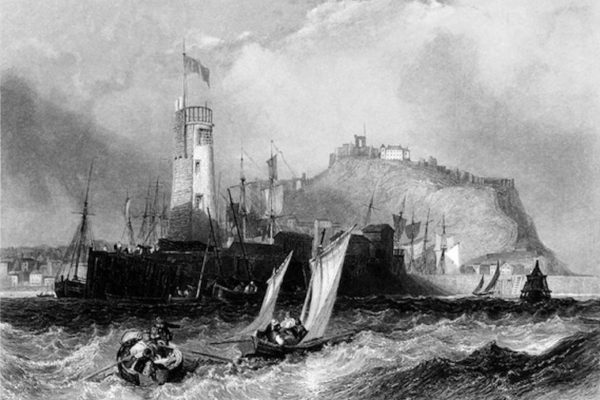 Having taken shelter from gales in Portree, they resume their passage south, passing the most westerly edge of Britain at Ardnamurchan to spend Coronation Day, 22 June in Oban at the Great Western Hotel. From here they head south to reach Howth, Dublin Bay, despite an injured back and some stormy weather. 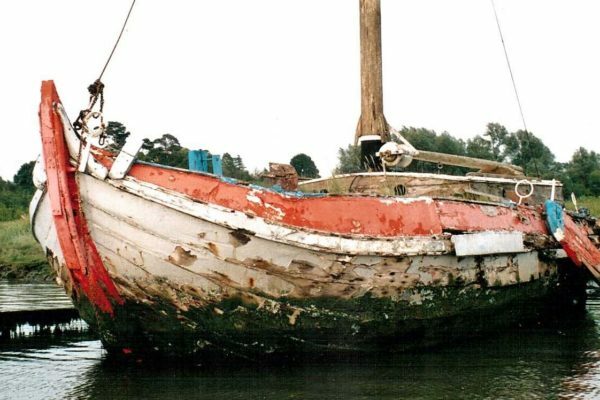 At the end of the season, ‘Joybird’ is ‘hauled up on to her winter perch in Dickie’s Yard at Tarbert’ after sailing 860 miles. 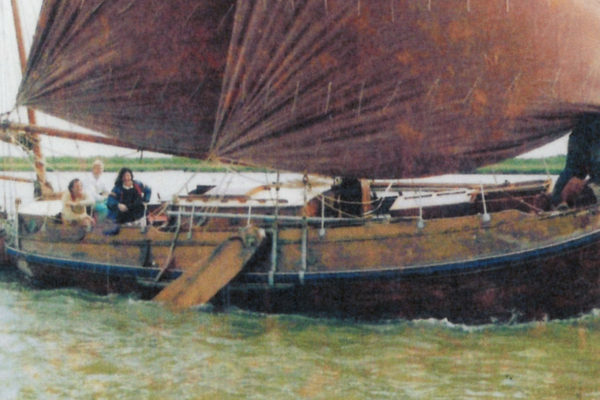 ‘Joybird’, a six-ton yawl without auxiliary power overwinters at Dickie’s Yard, Tarbert. 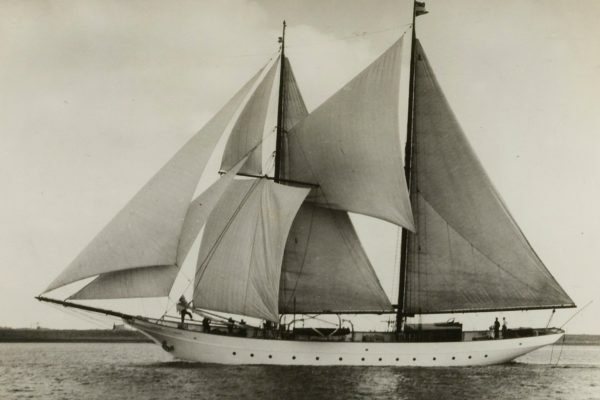 W. F. Thompson and his wife, in this second of two extracts, continue their summer cruise from Portree, Isle of Skye to Howth, Dublin Bay. 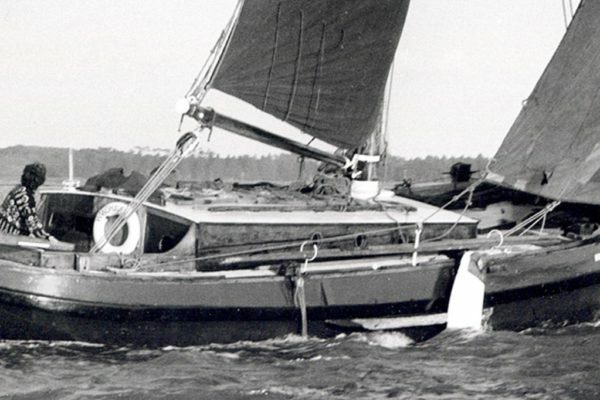 Read the first part of the cruising log, the passage from Tarbert to Portree. Kyle Akin, Friday, 16th June. Light airs from all quarters. Got anchor at 7.50 a.m. and sailed to the Narrows, when it became a flat calm and delightfully hot. I put out the sweep and pulled at intervals until we were within a mile of Isle Ornsay, when a fine breeze came up from the N.E. Passed the lighthouse at 2.50 and let go the mudhook in Mallaig Harbour at 5 p.m. Very nasty roll coming in which gave us an uneasy time of it. Distance, 25 miles. Bar., 29-80. Mallaig, Monday 19th June. Turned out at 4 and again at 6 a.m. Flat calm. Made a start at 9 o’clock, when there was a light air from S.W. It was a long, wearisome beat, but with patience and a frequent use of the sweep, we got to Eigg about 3 o’c1ock, and had a look in at the S. bay, intending to anchor for the night, or until there was abreeze; however, before we let go, a little air came away from N.W., and we thought it better to keep on and get round Ardnamurchan. Toward midnight we got to Ardnamurchan. Very calm, so tried to get round the point by using the sweep, but whenever I stopped pulling we drifted back. Tuesday, 20th June. At 3.15 a.m. a good breeze with plenty of rain came up from S.W., which took us in to Tobermory 6.20 a.m. where I let go in 2,5 fthms. At 9 the rain cleared away, the sun came out, and by 11 o’clock the wind had freshened into quite a hard breeze. 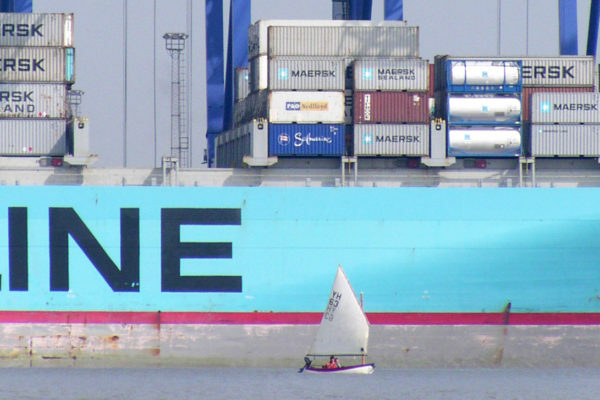 Sailed again at 11.20, carrying ail plain sail, but in the squalls this was rather too much. Brought up in Loch Aline at 1.35 p.m. Very wet evening. Bar., 29-60. Distance, 49 miles. June 22nd, Coronation Day. Very wet up till 1 o’clock, when it cleared and the wind came on fresh from NNW. Sailed 2 p.m., and with a fair wind and tide we were soon romping along. Passed Lismore Lt. at 3.10, and dropped the mudhook in Oban, off the Brandy Stone at 4.25 p.m. I hoisted the number and dipped our ensign to H.M.S. ‘Cumberland’ as we passed. ‘Hawk Moth’ is here, and her owner very kindly came alongside and asked us to dine with him at the Great Western Hotel, an invitation which we gladly accepted. ‘Quest II’ is also here, and her Skipper came and helped me to stow down. Distance, 14 miles. Monday, 26th June. Still blowing. Bar., 29-80. When coming off with water this morning I slipped up on the jetty and hurt my back. Tuesday, 27th June. Wind, SSW Bar., 29-90. Decided to get as far as we could on the ebb. Adderton of ‘Quest II’ and his skipper very kindly came aboard and got my anchors and put me on to a mooring. I should have been unable to get away but for this, as my back was very painful. After calling for letters we slipped our mooring at 11 a.m. and had a long beat to Pladda with a nasty sea. It came on very thick with rain, the wind was freshening, glass falling, and altogether it looked very bad. Passed Pladda Island, 4.50; red buoy, off Ardluing Point, 5-30. Looked in at Ardlussa N. and S. Bays, and were greatly tempted to go in and bring up for the night, as we were wet and hungry, and there was a hard breeze and a short steep sea that was very trying, but there was a good tide with us, so we hammered away and got into Lowlandman Bay, and brought up off the slip in 2 fths. at 9.20 p.m., very glad to be in smooth water and to have a hot meal at 10.30. I gave her 10 fths. and went to sleep happily. Bar., 29-80. Distance, 39 miles. Lowlandman Bay, 28th June. Blowing very hard from the N.W. Ran out the kedge with some difficulty, getting very wet. Windy looking sky, ring round the sun, and a falling glass. Thursday, 29th June. Very dirty looking morning. 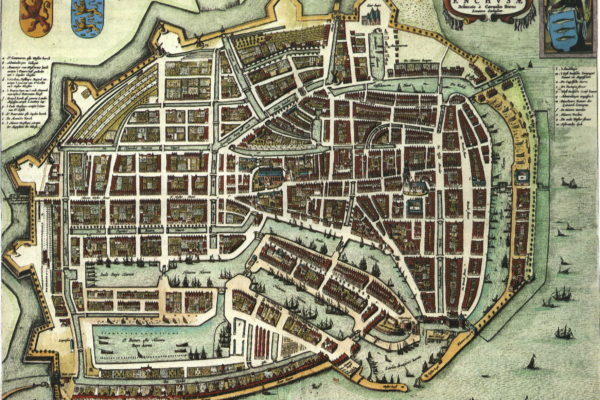 Wind, W. by N., backing to S.W., and increasing to a gale. Had my work cut out to pull off in the dinghy with my wife, and thought I should never do it, but hung on to a moored boat for a rest, and then tackled it again. Bar., 29-6. Sunday, 2nd July. Turned out early and decided to sail. Glass beginning to rise at last–29-6. Had breakfast at 6 o’clock, and got the boat aboard. Under way by 7 a.m. Wind, N. to N.W. S.Y. ‘Floreal’ left 1 hour after us and only got to Lame 1 hr. 40 mins. before us. We had a grand sail, though it was cold. Set balloon foresail at 8,30 and carried it all the way. Abreast of the Mull at 12.30. Very heavy rollers with broken tops. Maidens at 3.30 and brought up at Larne at 4.10 p.m. in 2.5 fathoms. Mr. Seed, owner of ‘Pilgrim’ very kindly pointed out the best anchorage, and then ran out my kedge for me, not only that, but with true Irish hospitality, asked us to go aboard and have tea. Distance, 70 miles. Bar., 30-5. Larne, Saturday, 8th July. Been at anchor here since Sunday last. Had to go and see a doctor about my back which has been very painful. I also have had a troublesome cough, and the weather has not been what I wanted to get South. This moming I turned out early and got all ready for a start, and we got away by 10 o’clock. The wind was very light, and we drifted back with the ebb until about 1 o’clock, when a light air came up from N’N.8. There was a very heavy roll and tumble off Black Head. Inside Copelands at 4 o’clock’ Set balloon foresail. Passed Skulmartin, 6.50, and South Rock 9.20 p.m. Threw papers aboard both Lightships. 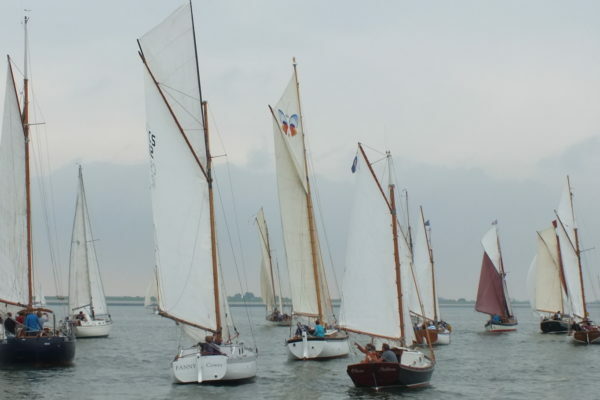 Running dead, boomed out foresail, first one side then the other. Abreast St. John’s Pt. at 1.10 a.m.
Sunday, 9th July. A fine clear night, but, at 6 a.m., a thick easterly haze came up, the wind freshened, and the sea made. The dinghy was making wild charges, first one side then the other, so I decided to try and pull her over the stern. This I found I could not do alone as my back was still painful, but my wife lashed the tiller, jumped aft and gave me hand, and we soon had the boat aboard and secured. We expected to sight the Rockabill about 9 o’clock, but it was too thick to see anything, and my wife was becoming very anxious, and thought it better that we should haul in for the land to ascertain our position, which we did and went into Drogheda Bay, a long way out of our course. When coming out again, the mist cleared and we sighted Rockabill nearly right ahead, leaving it to port and going inside Lambay lsland, we soon got close to Ireland’s Eye, and there the wind dropped away altogether. I put out the sweep, and, at 2.30 p.m., picked up a mooring in Howth Harbour, having been 28.5 hours under way. Distance, 110 miles. Bar., 30-20. Very hot.